First off, let me get something straight,this IS NOT a flaming thread. If people begin flaming, I will have the thread deleted. That being said, I figured this forum would be a good place to talk about this civilly, because lucid dreamers are generally more, well... lucid. This is not a thread to talk about what you heard on the news, or your friend told you; it is a thread for those who have actually looked into the (Hypothetical) issue of Global Warming. Now, I will start by stating my opinion. I do not believe it is an issue. I believe it is manipulation developed out of a (Very) bad model by a group of self-proposed "Scientists" who refuse to admit they're wrong. Now, everything, in reality supports this. When you look at a (Non-tampered with) model of temperatures over the last hundred years or so, it shows a slight increase in the 80's and 90's and a slight increase in the 2000's. Perfectly normal temperature fluctuation. Last edited by WildCat23 on 20 Oct 2013 16:15, edited 1 time in total. Dream can't you show me the light? " If you don't think global warming is happening, I'm curious where you get your information. I would encourage you to read about it from many sources. I can't imagine that 99% of the world's scientists are "self-proposed". I don't really see much to debate when around 99% of the world's scientists who have examined the data are in agreement that the planet is heating up. There is an overwhelming amount of evidence to support it. There's not much denial any more except about whether or not it is man-made. But even there, 97% of scientists think it is. So there is slightly less of a consensus there. 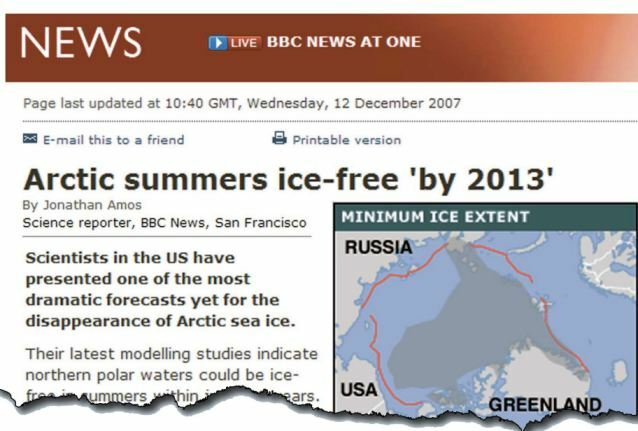 The only thing really debated is how fast, how hot it will get, how high will ocean levels rise, how soon will the first ice free arctic summer comes, etc. The real danger is the "positive feedback mechanisms" such as melting the permafrost which creates methane (worse than CO2) which causes more warming which melts more permafrost etc. or heating up the oceans which are the largest carbon sink on the planet. The problem is that the warmer they get, the less CO2 they can absorb, so there's another positive feedback mechanism. Or water vapor, the absolute worst greenhouse gas. Heat up the water, you get more water vapor and around and around you go. If one of these positive feedback mechanisms gets going, things could escalate rather quickly and forget trying to stop it. If you are around for another 20 years, my guess is that you will be completely doubt free about it then. In the meantime, I'm sticking with the 99%. 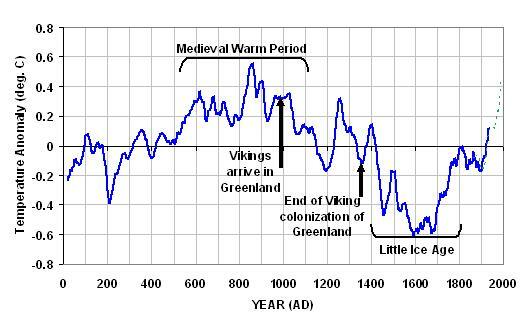 I read something about the world being warmer 800 years ago. The Earth's climate is constantly changing. I'd like to doubt that we are responsible for the warming, I mean, the world is a big place, and we are like ants. Last edited by Goldkoron on 20 Oct 2013 05:26, edited 1 time in total. 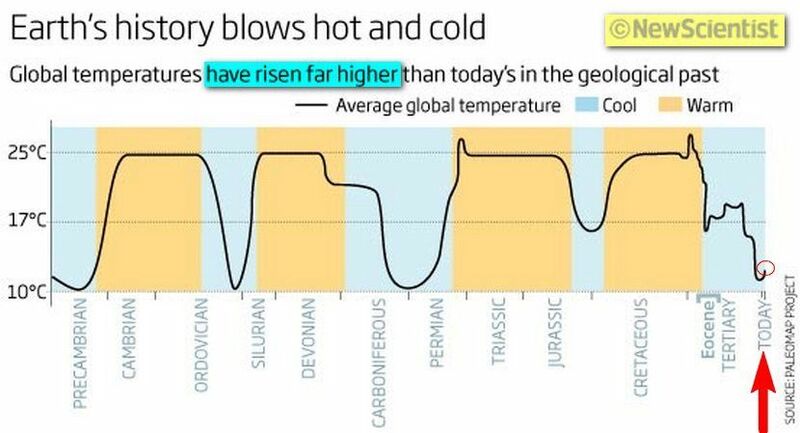 I believe we are on the last tips of the ice age, so it will increasingly get warmer and us humans may have contributed to it slightly which has caused it to accelerate a little. But mostly negligible. Scientists do have legit data, but they are also paid by government and as long as they can keep the population separated, its financially beneficial and keeps the engine of fear turning. My lucid and terse mind says, "Energy is conserved". I agree with lucid inthesky. There is a new report out by the IPCC*, a scientific body that is described below. Here's the link. The problem with global warming is that it's not something that can be "crisis managed". There will be a time when no one debates this any more, but that will be a time when absolutely nothing can be done. We already have 97% of world scientists on board. I can't see any interests that governments would have to promote the idea of global warming, in fact the opposite seems more likely. They are more interested in denial since they are funded in large part by the polluting economy. I was looking at Chevron's website where even they are agreeing that we are are changing the climate. How is it in interest of a huge oil company to admit that using their products is causing global warming? Again, I think the time for debate on this subject is long gone. There may be debate, but it is NOT among scientists. Here's a quote from their study: "The more you know about the field of climate science, the more you're likely to believe in global warming and humankind's contribution to it." 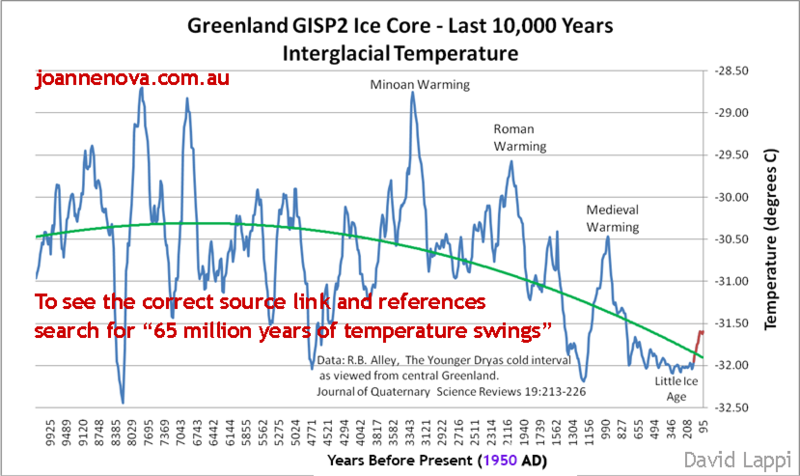 The study also concluded that "the debate on the authenticity of global warming and the role played by human activity is largely nonexistent among those who understand the nuances and scientific basis of long-term climate processes. The challenge now is how to effectively communicate this to policy makers and to a public that continues to mistakenly perceive debate among scientists." * "The Intergovernmental Panel of Climate Change is the leading body for the assessment of climate change, established by the United Nations Environment Programme (UNEP) and the World Meteorological Organization (WMO) to provide the world with a clear scientific view on the current state of climate change and its potential environmental and socio-economic consequences. The IPCC is a scientific body. It reviews and assesses the most recent scientific, technical and socio-economic information produced worldwide relevant to the understanding of climate change. It does not conduct any research nor does it monitor climate related data or parameters. Thousands of scientists from all over the world contribute to the work of the IPCC on a voluntary basis. Review is an essential part of the IPCC process, to ensure an objective and complete assessment of current information. Differing viewpoints existing within the scientific community are reflected in the IPCC reports. Because of its scientific and intergovernmental nature, the IPCC embodies a unique opportunity to provide rigorous and balanced scientific information to decision makers." lucidinthe sky wrote: If you don't think global warming is happening, I'm curious where you get your information. I would encourage you to read about it from many sources. I can't imagine that 99% of the world's scientists are "self-proposed". I don't really see much to debate when around 99% of the world's scientists who have examined the data are in agreement that the planet is heating up. There is an overwhelming amount of evidence to support it. There's not much denial any more except about whether or not it is man-made. But even there, 97% of scientists think it is. So there is slightly less of a consensus there. That 99%, is like all their other numbers, manipulated. It was a survey given to like 12000 scientists, of which only 65 actually did the survey, the 97% of which were trying to push Global Warming. 65 does not seem like a very large number to me being the percent of "All scientists" it represents. 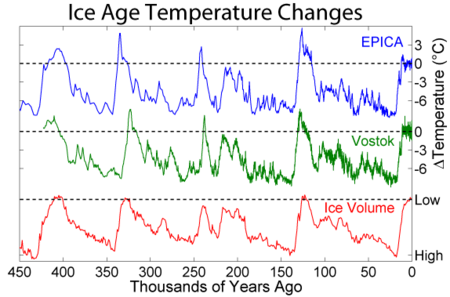 Also, the Earth has been cooling the last 16 years no matter what they try to tell you. My favorite is that the oceans are being heated by the atmosphere causing them to warm. Did physics change at Y2K? THey called it a "Retrospective prediction" and used it to make their incorrect predictions somehow seem (Somewhat) merit-able. Going up... and coming back down, as usual. Meanwhile, while Al Gore is claiming he invented the internet, when you actually look at glacial extent, the ice at the south pole has actually been getting thicker, and covering more ground. If you notice, Global Warming enthusiasts never actually bring up the South pole alone, only the North pole, and occasionally they will use the word "Poles," when actually only referring to the North pole. 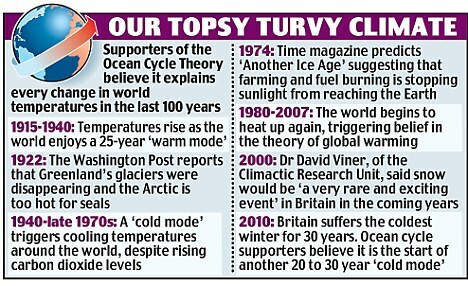 I am appalled people still doubt Global Warming, as it is it is going to kill us all if we can't even agree on if it's happening or not, let alone on how to stop it! I completely agree with Lucid in the sky. Also it's hard to be civil when people are supporting the destruction of our planet by saying the problem does not exist. I can see it exists just in how the winters have been in my area. I agree with lucidinthe sky as well. I think that the reason most people don't believe it is because they don't want to. They're scared ... and simply subconsciously refuse to look things in the face.